Southgate is pleased to present the Book Nook. 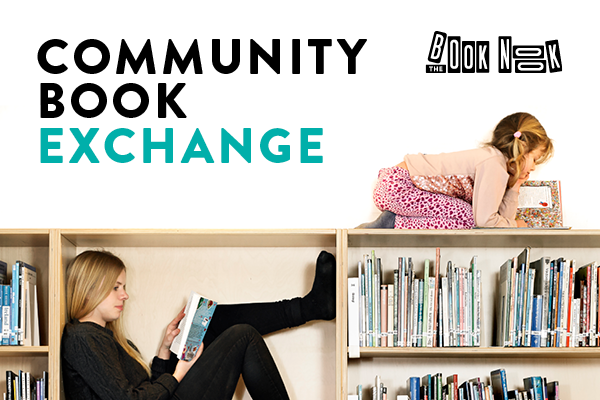 Open all day, every day, the Book Nook is your community book exchange, located next door to Coles Supermarket. Simply visit to select a book to take home, or get comfortable at the Book Nook to have a read in-centre. Please note: The Book Nook is currently sitting outside Lee Massage & Acupuncture. Terms and Conditions: The Book Nook will only be open in accordance with the Core Centre Trading Hours. All donated books must be appropriate, in good condition and be approved by Southgate Centre Management prior to being placed in the Book Nook.